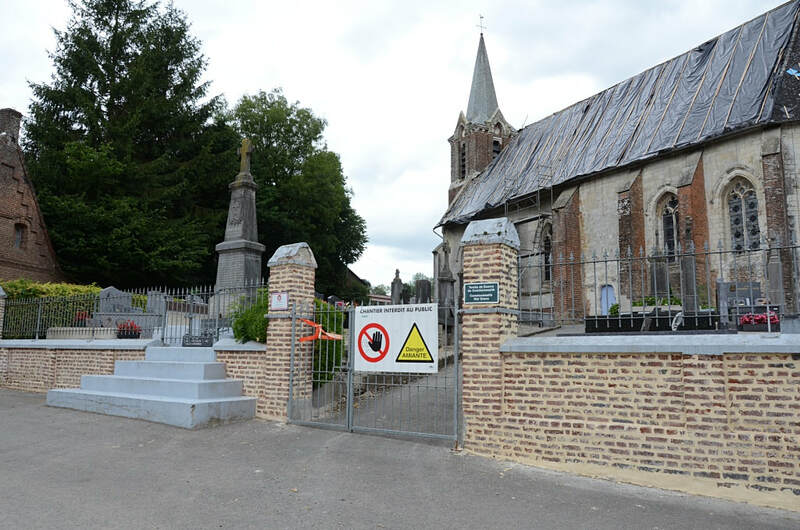 Rimboval is a village in the Department of the Pas-de-Calais, situated 21 kilometres north of Hesdin. 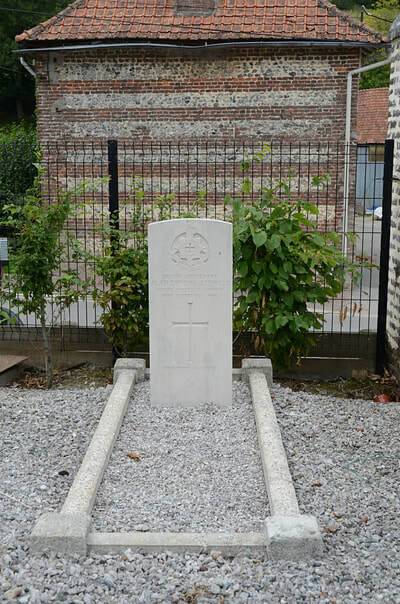 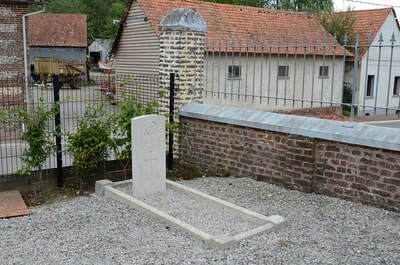 Near the south-east corner of the churchyard is the grave of a soldier of the First World War. 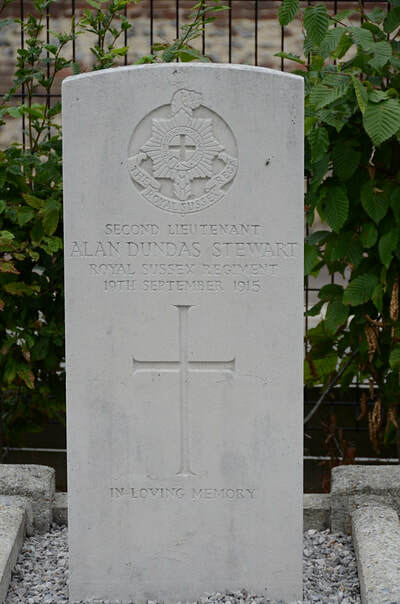 Second Lieutenant Alan Dundas Stewart, 9th Bn. Royal Sussex Regiment, died 19th September 1915, aged 21. Son of Dr. Howard Douglas Stewart and Helen Stewart of 98 Redcliffe Gardens, West Brompton, London.